Who can you sue in case of a defective product injury in Frederick, MD? Suffering a defective product injury in Frederick, MD, is unfortunate, but you now have the option of receiving compensation for your injury, pain, and suffering, lost wages, treatment, etc. But the first thing you must do is to determine who you should sue (the person/company that is liable). With the help of your personal injury lawyer from Frederick, MD, you can find who is at fault for the defect, and together you can make them pay you compensation. Your Frederick injury lawyer will explain to you that according to the consumer law, you can include in your injury claim any and all parties that were involved in the chain of distribution. 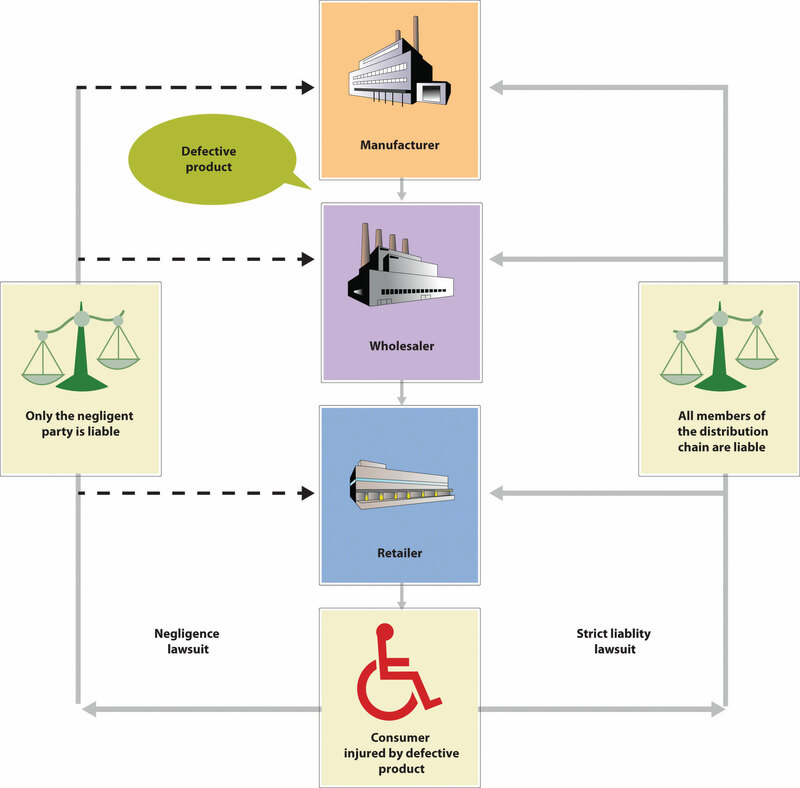 In the next part, you will find possible entities that participated in the chain of distribution of the defective product that caused your injury. You can also ask your personal injury attorney from Frederick, MD, to help you formulate your product liability claim. The company that created the defective product is the first from the chain of distribution. Usually, the manufacturer is now a big multinational company. This also means that they probably have an insurance policy which is different from standard ones. Large enterprises tend to only to purchase components and assemble products. That is why you should take notice of the manufacturer and the parts that were defective and caused you an injury. A good example your Frederick injury attorney will give is the motorcycle battery injury. In this case, your claim can be addressed against the vehicle manufacturer and the battery manufacturer (and all other chain distribution participants). With the help of your Frederick injury lawyer, you can file your injury claim and increase the compensation you receive as much as possible. You can also address your claim against the retail store from where you bought the defective product. Most people think that the retailer is innocent, but they are just as responsible for selling the injury-causing product as the manufacturer. According to the law, you don’t have to choose who is responsible for your injuries. All parties from the chain of distribution can become singular defendants in your case. And even if you purchase a product from a used goods supplier, you can still sue the provider (depending on the product). Your personal injury attorney from Frederick, MD, can help you determine if the supplier can be held responsible or not. Generally, between the manufacturer and retailer, there are a series of other entities that handle the product, such as wholesalers, supplier, distributors (the so-called middlemen). All entities that were involved in distributing the defective and dangerous product that caused your injury are potentially liable. Your Frederick injury attorney can help establish the chain of distribution and create a valid defective products injury claim. For more information about defective products and what your options are, you can contact the best personal injury lawyer from Frederick, MD, at (443) 569-3950 or via email [email protected].